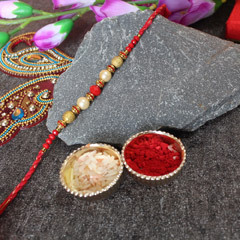 Sandalwood Rakhi: A Rakhi Made of Aromatic Sandalwood! 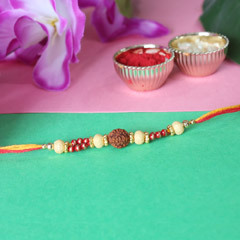 Rakhi can be named as a thread of protection and love that sisters tie on the brother's wrist to express her care and heartily feelings of love. 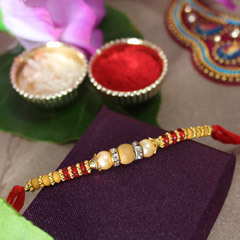 Thus on this Rakhi all you need to do is choose the best Rakhi thread for brother & buy online from the offered range of Sandalwood Rakhi. 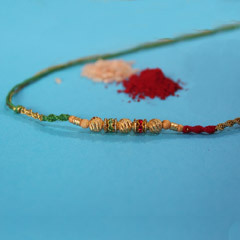 The vast varieties of Rakhi in this categories include Sandalwood Stud Rakhi with diamond ring, Fancy Sandalwood Rakhi, Natural Sandalwood bead Rakhi, Ethnic Floral Rakhi, Multicolor Traditional Rakhi, Premium Fancy Rakhi, Set of 3 Fancy Rakhi, Traditional Rakhi, Shree Ganesha Rakhi, Spiritual Om Rakhi and lots more. 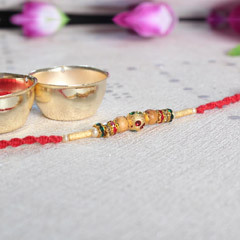 Raksha Bandhan is a day that is celebrated with full enthusiasm and the bond of love between the brother and sister becomes stronger than earlier. 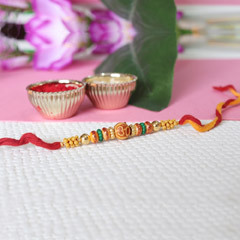 It is very upsetting for brothers and sister to be far away on Raksha Bandhan celebration. 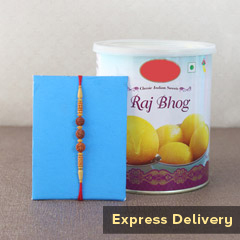 So if you wish to send Sandalwood Rakhi to anywhere in India to your brother residing far away from you, then you can do it here via Rakhi delivery in India. 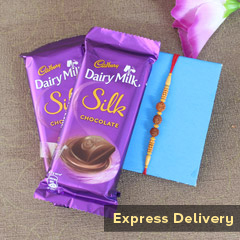 Also, you can send Rakhi online to almost all countries of the world including UK, USA, UAE, Canada, Australia and others. 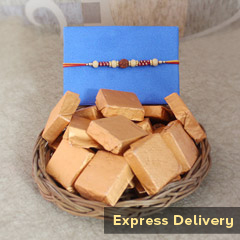 Our offered Sandalwood Rakhi is designed using top quality basic material that makes it more attractive. 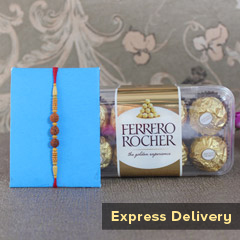 So it’s time to hurry and explore the best one your brother. 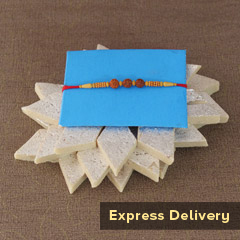 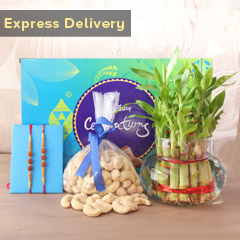 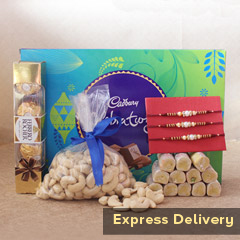 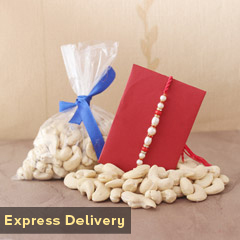 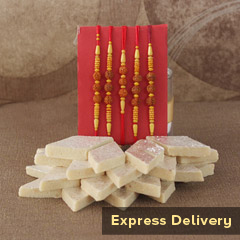 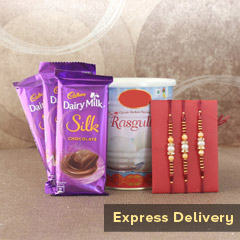 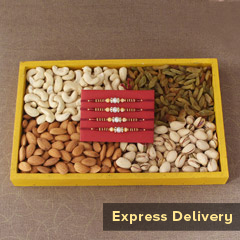 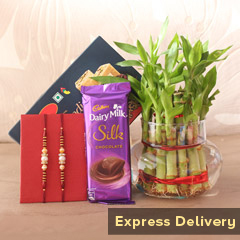 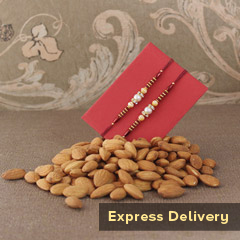 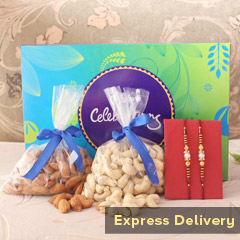 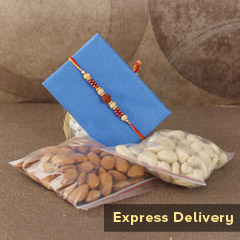 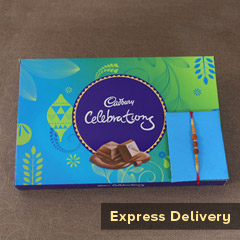 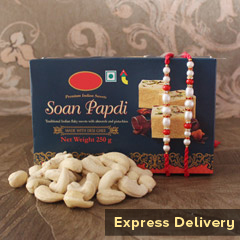 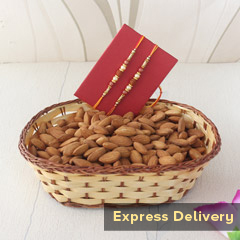 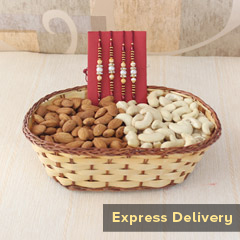 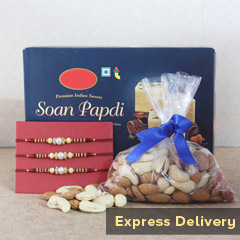 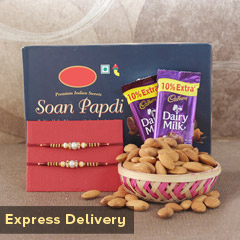 Make him feel special with special and send Sandalwood Rakhi online with our Express Delivery services.